It’s one of the most interesting — and oldest — places in Westport. I’ve lived here my whole life, yet never been inside. Adams Academy — the low-slung yellow building on North Morningside — was the spectacularly named Ebenezer Adams’ private school from 1837 to 1867. He taught over 600 students — including (rare for the time) girls. Most of the graduates — male only, of course 😦 — went on to Yale. After Adams sold his academy, it served as a public school, town park, home for the needy and town offices. Now restored, it’s back to a 19th century schoolroom. It’s rarely open. 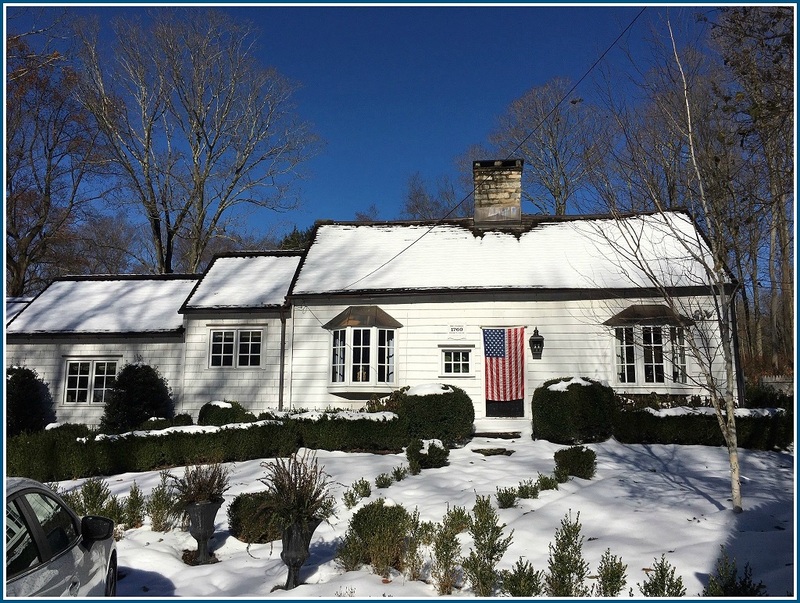 But next Sunday (December 9), it’s one of 5 stops on the Westport Historical Society’s 32nd annual Holiday House Tour. Ebenezer and his daughter — well, WHS volunteers dressed as them — will be there to greet guests. The tour offers a peek inside some of Westport’s most historic structures. 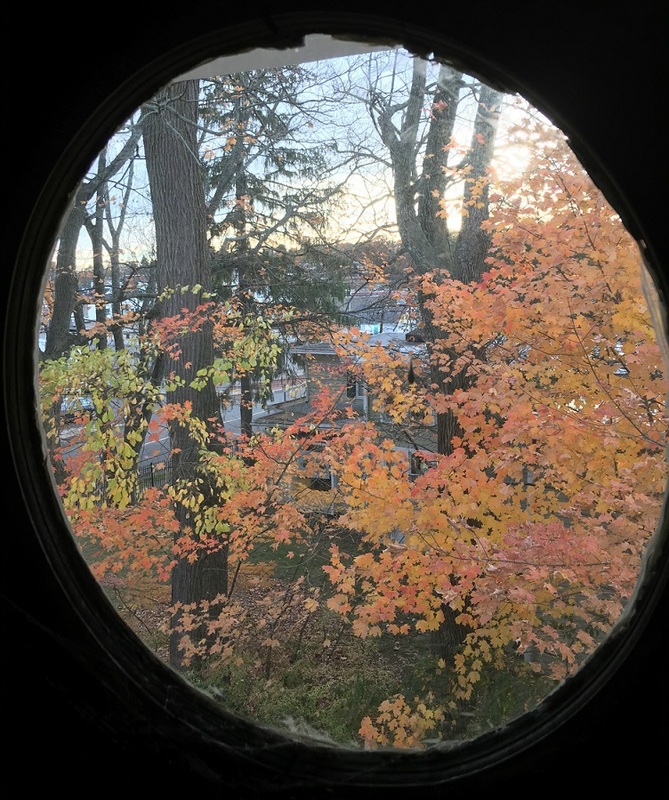 It combines our natural voyeurism curiosity with our intrigue in our past — and our love for New England-style holiday decorations. Each stop on the self-guided tour includes WHS docents, explaining how people of the period celebrated Christmas and New Year’s. Halls (and more) will be decked with boughs of holly (and much more). The event begins at the Historical Society’s own Wheeler House home on Avery Place. Built in 1795, then remodeled in the 1800s in Italianate style, it’s listed on the National Register of Historic Places. 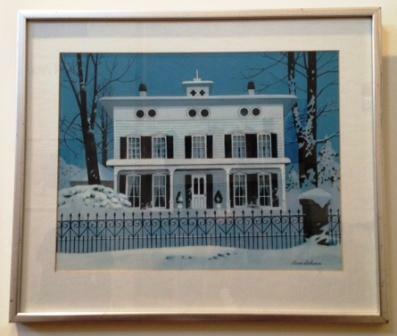 Wheeler House — the Westport Historical Society’s Avery Place home — in a painting by famed local artist Stevan Dohanos. 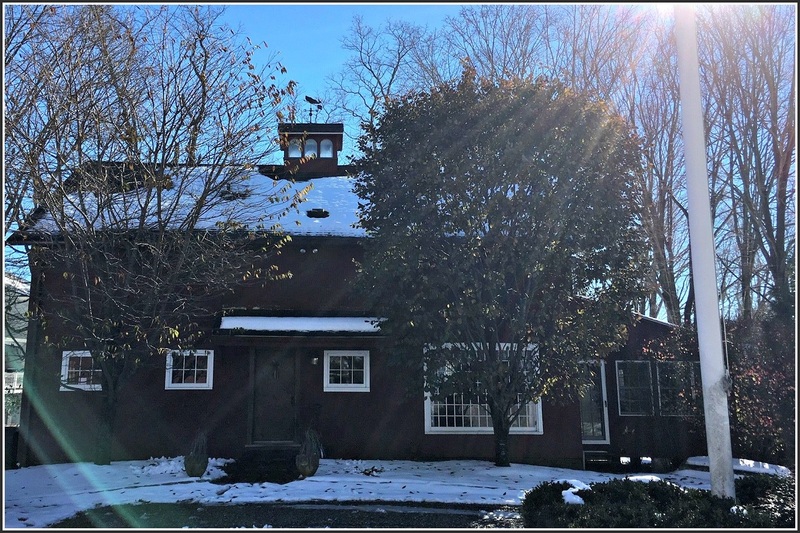 Wheeler House — dressed in Victorian splendor — is complemented by the only octagonal-roof cobblestone barn in Connecticut. It will be open too, showcasing the fantastic, intricate wintertime train set that for years thrilled shoppers at Swezey’s Jewelers on Main Street. The Goodsell-Grumman Toll House dates back to 1760. It originally stood on Catamount Road, but when a private highway — Easton Road — was built in 1817, it was moved to its present location there. It’s one of the few remaining saltbox-style homes in Westport. Two other Holiday House tour homes are in Southport. A 1673 (!) 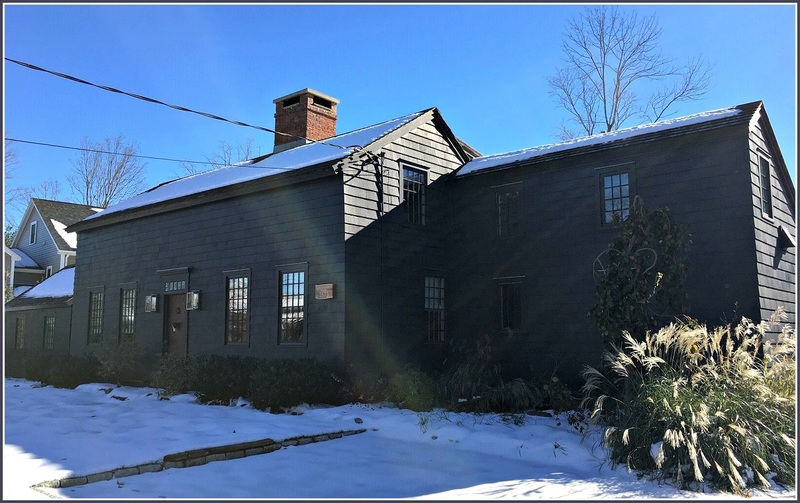 colonial saltbox — one of the oldest still standing in Fairfield — features an original entryway staircase, exposed beams and massive fireplaces. A converted barn, built in 1705, has original framing and reclaimed period wood for all walls and floors. This house sits atop a burial ground from the Great Swamp War. In the 1940s, it was used as an artists’ studio. There’s a lot going on this season. It’s not easy to fit a House Tour into your schedule. But there’s no better way to get in the old-time holiday mood. Westport still has a 1-room schoolhouse. It’s not used anymore — but Marguerite Webb’s photo of a handsome part of the old building was last week’s Photo Challenge. The school is Adams Academy, on North Morningside Drive. Madison Malin, Jacques Voris and Mary Palmieri Gai were the “06880” readers who identified it. The town of Westport now owns the Greek Revival structure, which has official historic designation. As well it should. From 1837 to 1867, the magnificently named Ebenezer Adams ran an eponymous coed prep school there. During his tenure, 637 students graduated. None were refused admission to college. In 1868, Adams sold his academy and its 1-acre property to the Green’s Farms Association. They operated the school — less successfully — for the next 14 years. A bank foreclosed the mortgage in 1882. Wealthy Long Lots resident Robert Martin bought it. 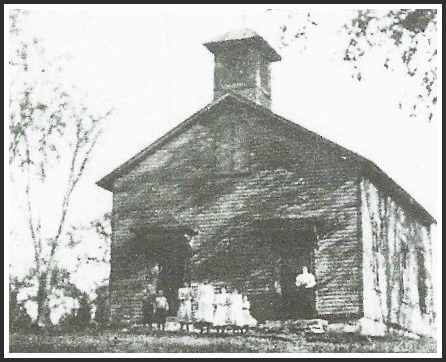 The West Long Lots school district operated it as a public school until 1898. It later became the home of grades 1-3, for the consolidated West Long Lots, East Long Lots and Green’s Farms districts. The academy was abandoned in 1917, shortly before Greens Farms Elementary School opened on South Morningside. 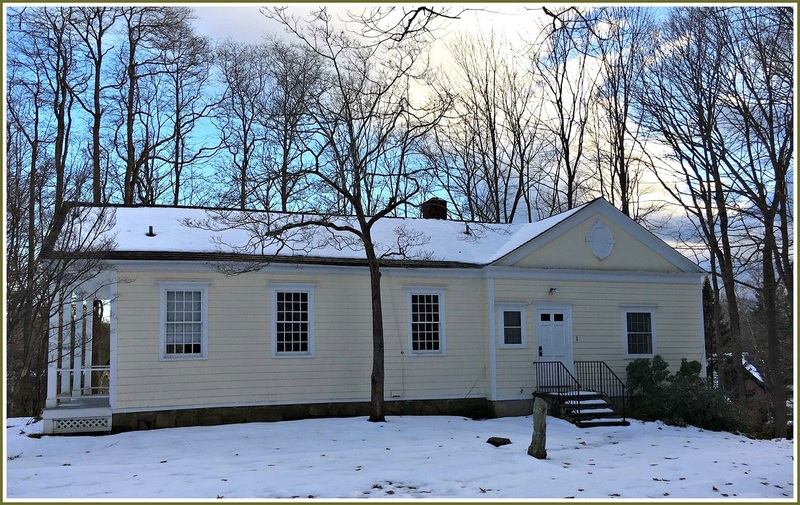 It’s been used as a town park, a home for the needy, offices for the town guidance department, and headquarters for the Westport Historical Society. Now restored, it is one of our town’s most hidden — and historic — treasures. 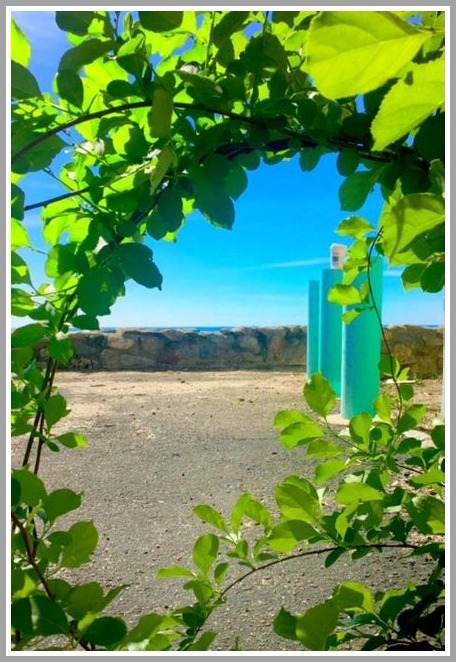 Patricia McMahon provides this week’s Photo Challenge. It’s a gorgeous image, and very intriguing. If there’s one thing that connects every Westporter, it’s education. Some of us went to school here. Others have kids in school now. All of us pay taxes to support our schools. Next month, the Westport Historical Society opens an exhibit called “Westport School Days: 1703-Present.” It examines public and private schools — and through the centuries, there have been a lot more than anyone realizes. The Cross Highway District School (above) was built in 1858. It sounds very cool. But it won’t happen without our help. The WHS needs photos. Buildings, class photos, teachers events — anything that shows the wide range of “education” through the years. The Historical Society also wants school memorabilia: banners, decals, logowear, invitations to events, report cards, lunch boxes, whatever. If there’s a Westport schools connection, they want to see it. Items can be dropped off at the WHS, across from Town Hall. Photos (JPEGs or scans) can be sent to rwmailbox@aol.com. Please provide as many details — names, dates, etc. — as possible. The Historical Society also plans tours of Adams Academy on North Morningside Drive. 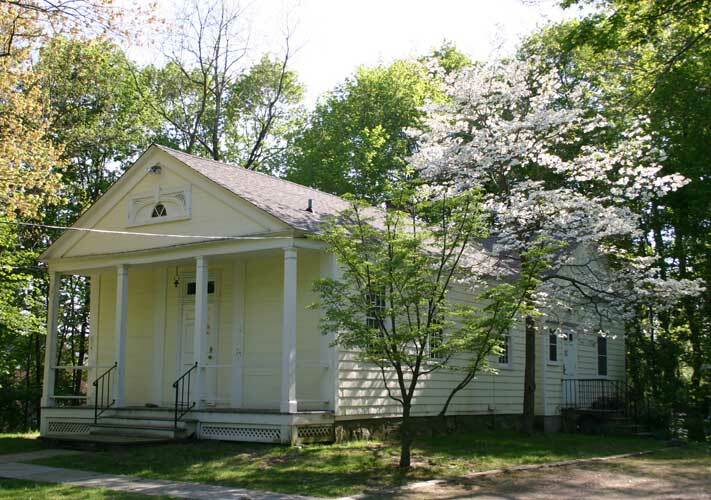 Built in 1830 as the Greens Farms Congregational Church School, it was sold to Ebenezer Banks Adams 7 years later. He operated a private school, preparing students for college. Later, the one-room building was called the East Long Lots District School. If you remember going to school there, the WHS would really like to hear from you. So would the Guinness Book of World Records. Adams Academy has stood on North Morningside for nearly 200 years. Last week’s photo challenge was hiding in plain sight. “The formidable Ebenezer Adams ran his private Academy from 1837-1867 offering a comprehensive classical curriculum. The academy was a highly regarded educational institute and a credit to the Town. Adams had purchased an existing academy from the Greens Farms Congregational Church after graduating from Yale University. Here’s this week’s photo challenge — our 100th! If you know what Jo Shields’ photo shows — and where she took it — click “Comments” below. Cliff Barton — a longtime Westport educator — died last week. He was 90, and had recently suffered a stroke. An outstanding student who attended Florida A&M University on an athletic scholarship, he was a skilled practitioner of jewelry casting before earning a masters degree in education and organizational theory from Columbia University’s Teachers College. He joined the Westport school system in 1958, and over the next 29 years served as a teacher, speech pathologist and assistant superintendent. Throughout his career he maintained a private practice as a speech pathologist and educational consultant. In 1958 Cliff and his wife Sylvia purchased a home on Stonecrop Road in Norwalk, integrating the neighborhood. Cliff involved himself in a wide range of civic affairs — including the Norwalk Redevelopment Agency, the Mayor’s Blue Ribbon Commission on Race Relations, the Carver Foundation, the Mid-Fairfield Child Guidance Center, Norwalk Hospital, and the Norwalk Power Squadron — that continued until his death. He was a founding member of the boards of the Norwalk Arts Council and Norwalk Maritime Center. In my third of a century of Westport teaching experience, Cliff is one of the last of the greats. He’s right up there with Gladys Mansir, Wyatt Teubert, Charlie Burke, Tony Arciola, Harold Allen, Nick Georgis and Gerry Rast, among others. All these professionals, with diversified personalities and academic perspectives — committed to the quality education of every kid — put Westport on the Gold Coast map. The local community of Gray Flannel suits in the time of the Famous Artists Schools wanted the best. Then, with the Soviet challenge of Sputnik, the national government wanted the best in education as well. The dialogue about various teaching approaches in the new Staples High School faculty room — for the first time mixed with males and females — was constant and intense, loud, humorous, sometimes angry, always provocative. Cliff Barton, then a speech teacher who traveled among the different Westport schools and administrative offices, often punctuated the emotional dialogue with a non-controversial observation that was sane, possible and always respected. Cliff put his words into practice as an administrator. As the head of special education and a former teacher, he recognized the complexity of kids with physical, emotional and academic needs. Cliff understood the political task of integrating them and their parents into the regular school community. Adams Academy, where Cliff Barton worked his magic. And he recognized the importance of his staff in getting the job done. In characteristic gentlemanly style, Cliff insisted that all teachers tar themselves away from their demanding, often isolated involvement to meet every Wednesday in the supportive, informal Adams Academy — the 1-room schoolhouse away from typical, overly administrative property — where Miracle Workers could see each other as normal people. Cliff exuded trust in us whenever we might lose trust in ourselves. This respect and confidence ultimately extended beyond the meetings and beyond the school, into our private lives.